Second stage for the Italian Off-shore Championship held in the beautiful scenery of Porto Rotondo in Sardinia. The categories that took part in the race were the 5000 / 3D category for the Italian and European championships and the endurance category for the Italian championship. The show of the racing cars at sea started as early as Thursday 24 May with free practice and continued throughout the weekend. 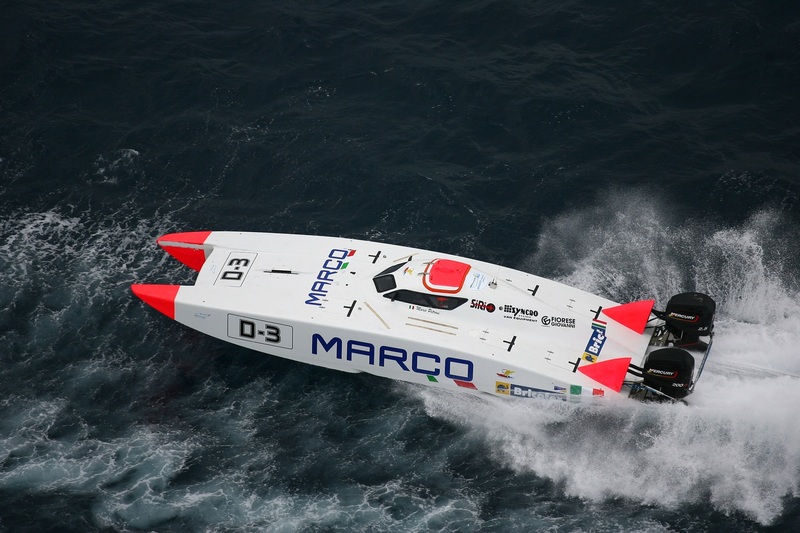 In the 5000 category the winning team was the Yacht Club Como Team with the Barlesi-Barone crew, in the Sport category won Produttori di Manduria with Longo-Cucurnia and in the Boat Production category won the Tascia Team with Cesati-Berardi. Next stage from 3 to 5 August in Cariati for the Italian 5000-endurance championship.